Light up your bow or dock. 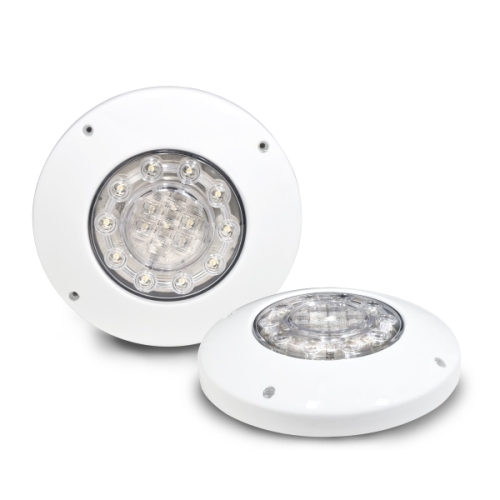 Designed to easily integrate into our NEW slim line Tubbie enclosure this new LED Dock Light Kit is easy to install. Just unscrew the backplate on your Tubbies, connect the wires, and screw the light into place. That's it! Only for use with Bazooka Tubbie Models: MT8100B, MT8100W, MT8265B, MT8265W, MT81LKB, and MT81LKW. If not already prewired when your Tubbies were originally installed, additional 12 volt wiring is necessary to power the lights. These Lights should be tied into your existing Dock Light switch and are for use when at your DOCK only. They are not for use while in motion.